Web-site and forum of former military personnel of radar troops Group of Soviet Forces in Germany. Maps, charts, plans. Memoirs. Photos and video footage. Find colleagues, communication. 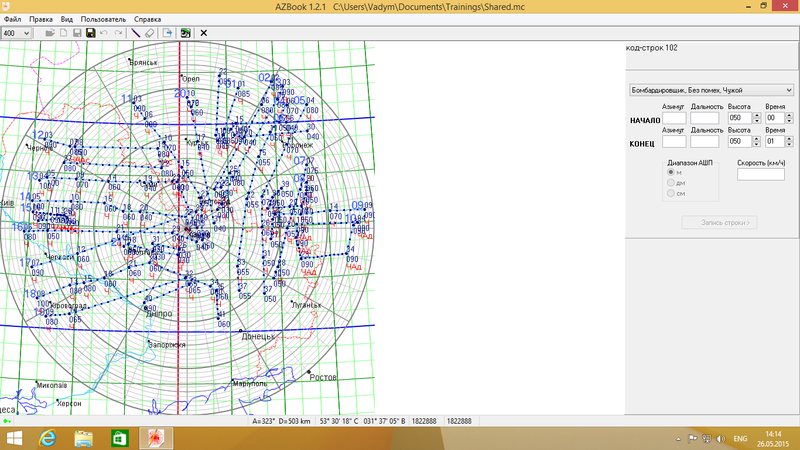 Program Micro (Multifunctional Imitator of the complex air situation, MICRO) - Simulator radar operator workplace. The complex programs that not only simulate the workplaces radar operators, but also to automate the programming of raids for them, the creation and connection of electronic maps that can display including objects grouping of air defense, border, border strips and airways aviation, automate the development of training for the air defense command post. 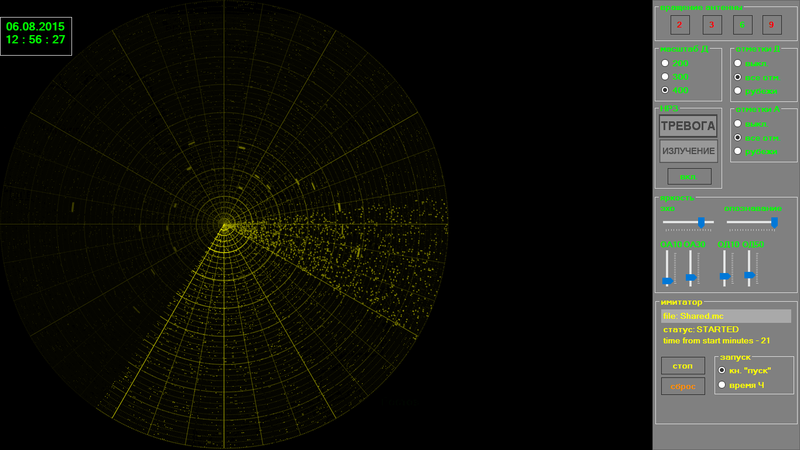 The current working version of the complex is Radar Training System 3.0. Demo version is freeware. Limitation on the number of the displayed trace to 5 are imposed only on the program of workplaces operators. The full version number of the displayed trace is 256. For the full version you need to register and get a key. Subject to an official request to the software developer registration free for Ukrainian military. The complex has a high degree of plausibility simulation PPI analog radar such as P-12, P-14, 5N84, 5N87, 64ZH6, P-18, P-19, P-40, P-37, P-35, and many others, as well as PRV height indicators. Radar Training System 3.0 is designed for the medium Windows 7 32-be, but also works on 64-bit, and Windows 8, and Windows 8.1 (look AZBook main window in Windows 8.1). Confirmed performance of complex programs in the official release of Windows 10(look Micro main window in Windows 10). The complex is designed according to the wishes and remarks of users during operation. The author expresses his gratitude to all officers to express their comments and suggestions during the development and implementation of the complex.